Digitizing is conversion of any data into a digital format which can be in the form of a compact disc, internet or any format. Data in this format is compatible with handheld electronic devices, with or without a print counterpart. 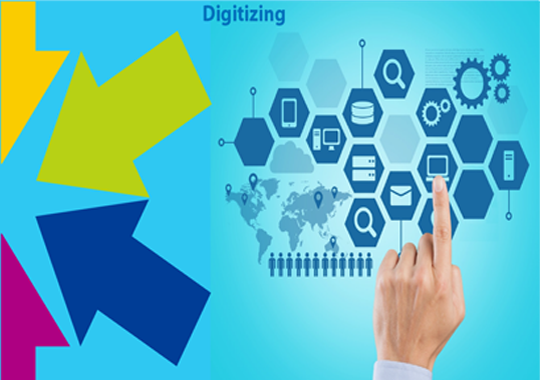 Digitizing is proving to be quite useful to organizations as it helps them to store data in the digital format which reduces the space and cost of storage. Digitizing has made retaining the data for future reference possible and is much more convenient than paper. Shan Translation helps leading publishing companies convert their content from various data sources in any format (such as MS Word, PDF, InDesign, Image, Hard copy) to formats with interactive and multi-touch eBook features, ready to be deployed on virtual media. Our eBook creation service is carefully executed by our professional team who have experience in publishing industry. We prepare audio books which records book orally helping people to listen to a story rather than reading it. We also offer Multilingual E- books or Multilingual Translation. The company I was dealing with would listen to my complaint and through their process revert back to me after 48 hours. You people listen to my problem and give me instant solutions, which is why all my business will always come to you. We have a newspaper and were very uncomfortable placing the new data everyday online. Shan know processes the data daily and we cannot express our comfort and cost savings. Thank you!